Summer is my very favorite time of year in New England. I love the warm weather and all the fun recipes that go along with it. I was so excited when I found this one on Pinterest. 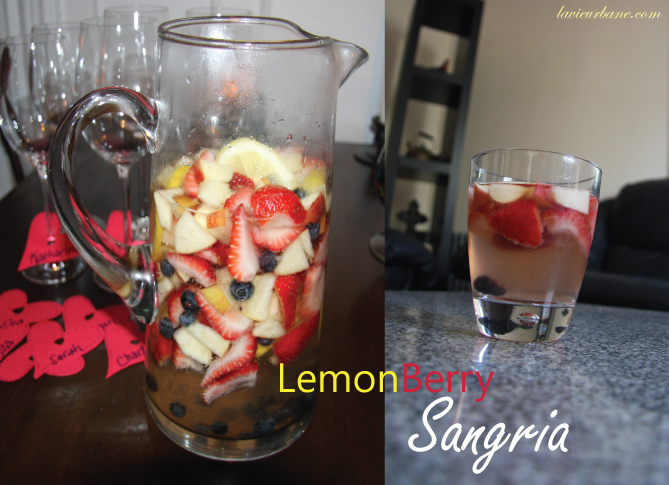 First of all I love Sangria but I’ve never tried making it myself. This recipe looked easy enough for me to attempt and when I decided to have a girl’s Bachelorette Season Finale party at my house, I knew this was the one I had to make (it was pink in the picture!). Add lemon slices to a large pitcher. Follow with the apples, then strawberry slices. Pour the wine and rum over the top. Cover and place in the refrigerator for 4 – 5 hours. Take out of the refrigerator and add the soda. 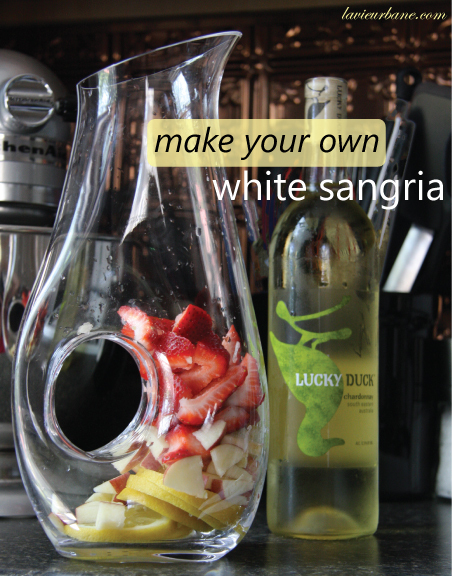 Add a few pieces of the fruit to your glass and pour sangria over to serve. ENJOY a glass (or two) with some friends and get outside before it’s too late to enjoy!